Winter is coming, and you need this cap. 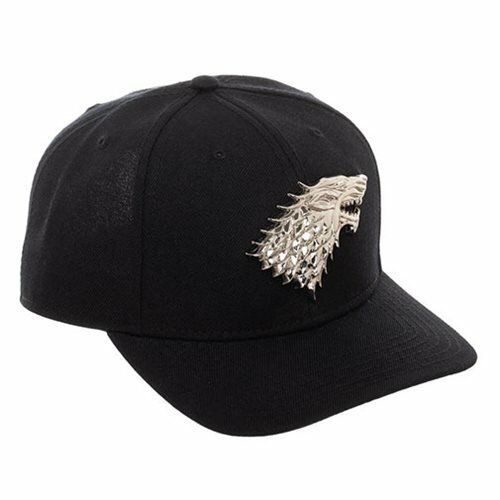 With the 3D sculpted direwolf on the front and the name "Stark" embroidered on the back, this acrylic wool Game of Thrones House Stark Snapback Hat leaves no doubt where your loyalties lie. The visor is pre-curved and one size fits most. Hand wash cold. Lay flat to dry.